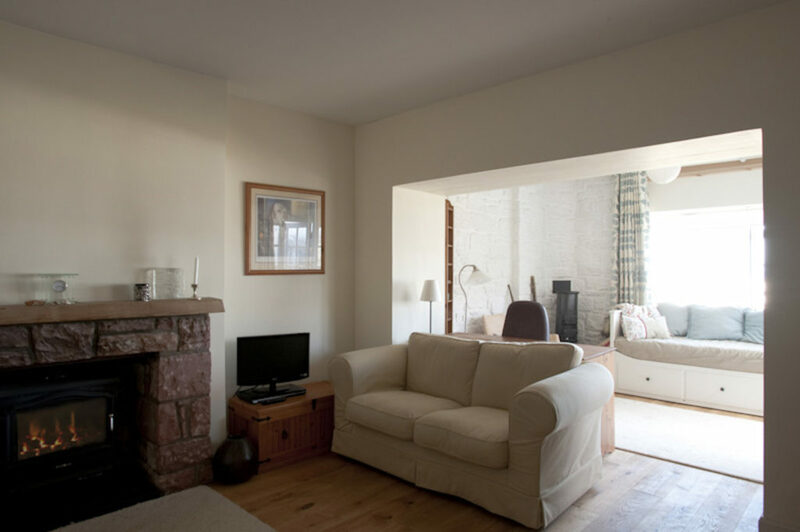 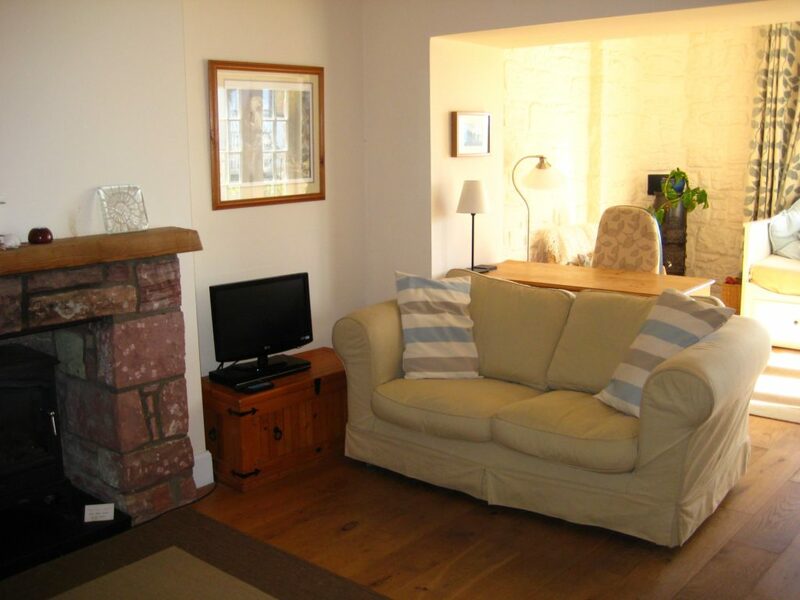 This large room has two comfortable sofas and a gas/coal fire, LCD TV and DVD player. 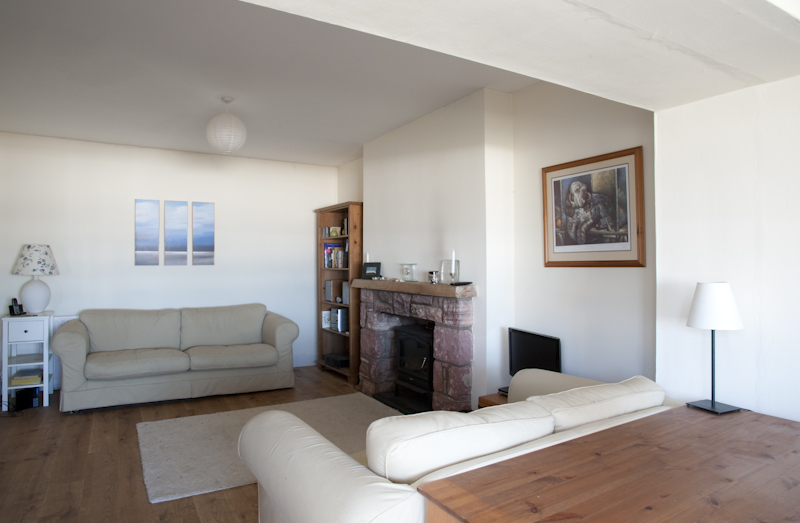 Books, games, CDs and DVDs are all there too. 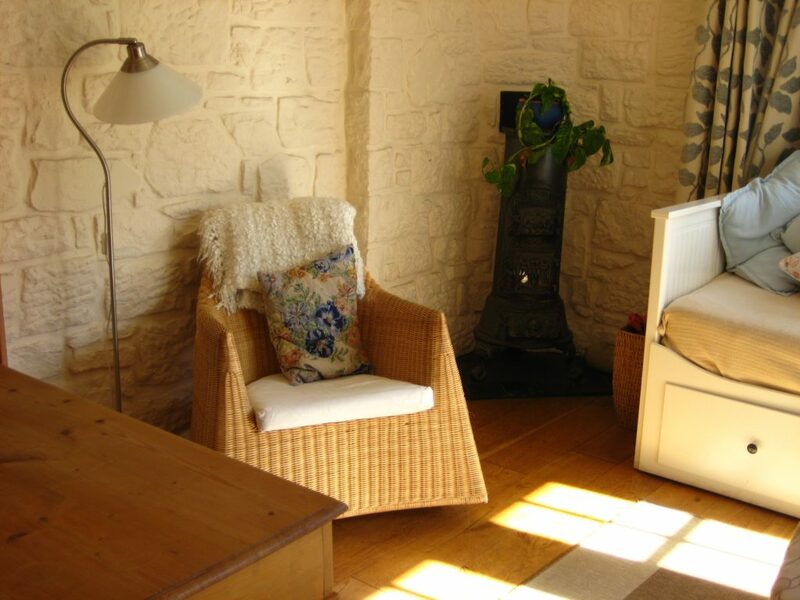 The sunny snug has a woodburning stove (great for driftwood fires! 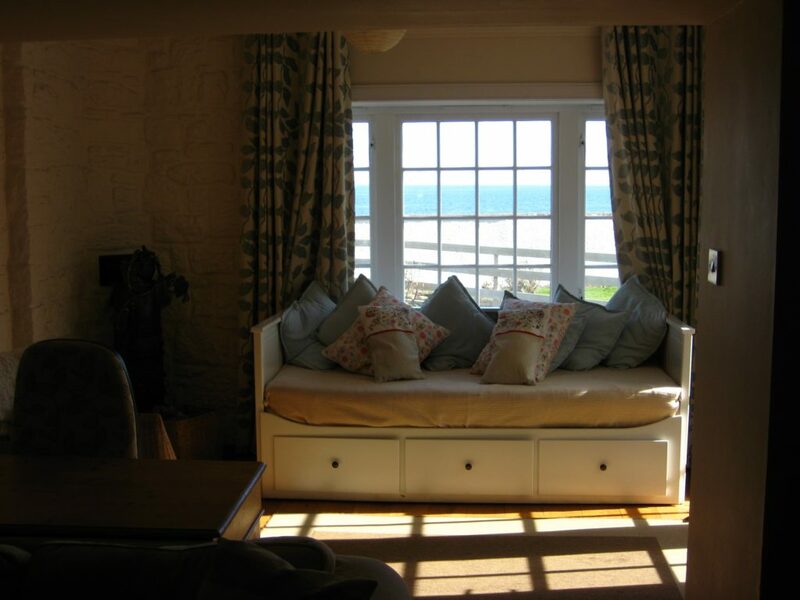 ), desk, window seat (with lovely views to the sea) and double doors to the garden.